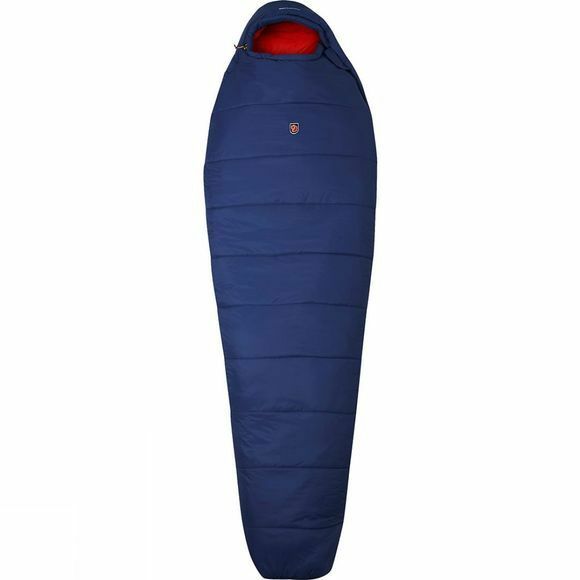 The Womens Abisko 2 Season Sleeping Bag from Fjallraven is a technical two-season synthetic sleeping bag that provides a lot of heat in a lightweight, supple format. Specially designed for women, with extra insulation at exposed areas. The Supreme Microloft padding keeps you warm even when damp. The head section is very warm and has a synthetics-padded thermal collar that together with the drawcord adjustment traps the heat inside the bag.